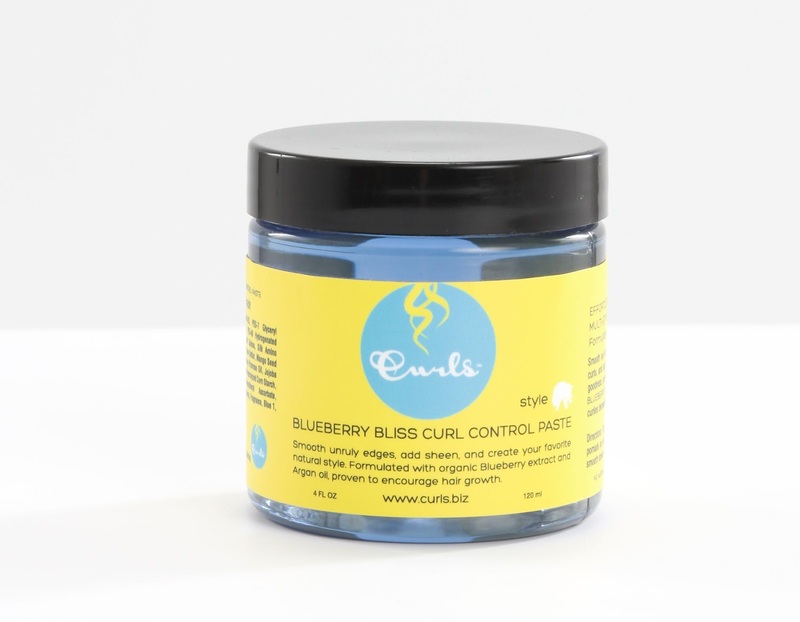 CURLS Blueberry Bliss CURL Control Paste ($7.99-$12.00 for 4oz) is a gel pomade formulated with organic blueberry extract, argan oil (proven to encourage hair growth) mango and shea butter, argan oil. According to their website, Blueberry Bliss Curl Control Paste smooths and slicks down unruly edges. Whenever I'm taking a break from wearing my usual marley twists, I go for big, afrocentric buns mixed with a bit of marley hair for volume. Because my own natural hair is thick and coarse, I usually slick my hair down with a pomade or natural hair friendly butter. 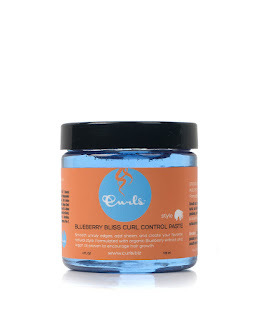 I gave this product a try because of rave reviews in the natural hair community and it did not disappoint! I softened my hair a bit with some water and slicked it back with the control paste and the hold was amazing! It really does exactly what it's supposed to do. And as an added bonus, it gave my hair a nice -- albeit temporary -- texture that matched my marley hair a bit more.